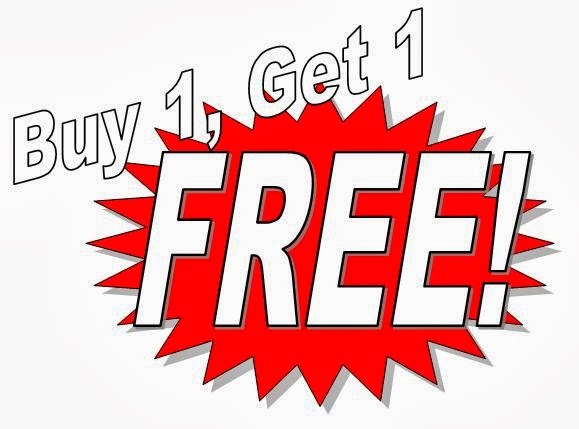 The Event Marketing Insider: Say NO to BOGO! I got another email for an event with a last-minute BOGO offer – buy one registration, get the 2nd for free. And I cringed. It cheapens the brand. When you are marketing an event, you are responsible for marketing a product: a vehicle for delivering content, networking, bringing people together in a form unavailable anywhere else. And when you incorporate a ‘buy-one get-one’ tactic, it cries of desperation and raises a red flag in the savvy consumer’s eye on the type of event they are being asked to commit to. You’ll train your audience to anticipate … and wait … for discounting: As if registration curves are not short enough to drive the event team insane, last-minute discounting over a period of events will set the expectation that if somebody holds out long enough the BOGO offer is forthcoming. People do remember – I’ve come into organizations and have gotten communications from past attendees along the lines of “last year I attended for free/cheap – how can I do that again?” People do remember these things. The reality is it’s a square peg in a round hole: BOGO is a tactic used by retailers for shoes, coffee, underwear, etc. [and select retailers, at that. Notice how you never see BOGO offers at Tiffany’s, do you?] Using it as an event marketing tactic is bringing it to a B2B business purchasing environment. And, of course, it’s silly-sounding to boot. My writing ‘don’t do this’ doesn’t of course, alleviate the pressure you feel and receive to drive the biggest audience and most revenue to your event. To that point I have a couple of thoughts. First, if you initially budget, plan, and execute a pricing structure that encourages discounts for early registration to encourage revenue early in the campaign cycle that is not an issue, although as noted previously, the effectiveness of these are questionable. Secondly if, for some reason, even after you’ve done your due diligence in planning and executing your marketing plans (and contingency plans) the event is lagging in registration revenue and or attendance, it may be other factors that need to be explored – all elements of the event: content, venue, speakers should be looked at as not having the “Wow” factor that drives commitment to ticket purchase. This is a different subject all together (and worth a post unto itself) – the point here being if an event reaches a stage that considering BOGO is an option, there are other variables in the overall event that should be taken into consideration. So certainly plan for early discounts, plan for contingency tactics … just resist the temptation to BOGO. You’re doing more harm to the brand than good to the event otherwise.